January | 2009 | Ipoh Mali Talak Sombong! I’m taking this opportunity to wish ALL readers and fellow bloggers an early Happy Chinese New Year; may the Year of The Ox brings you health, more delicious delicacies, never ending wealth and stay youthful and pretty all year round. 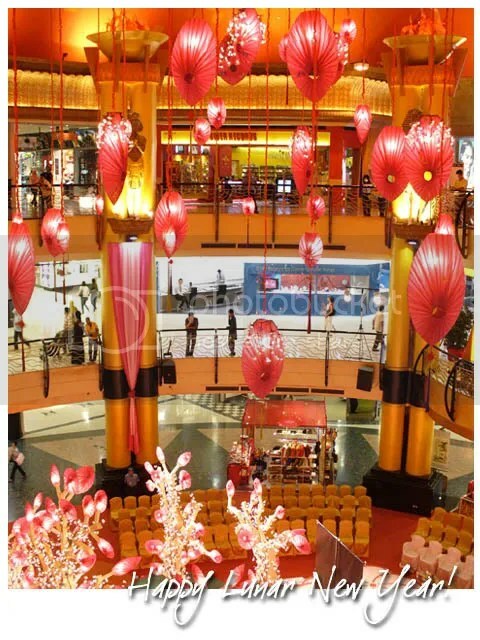 *Photo taken at Sunway Pyramid, Old Wing. 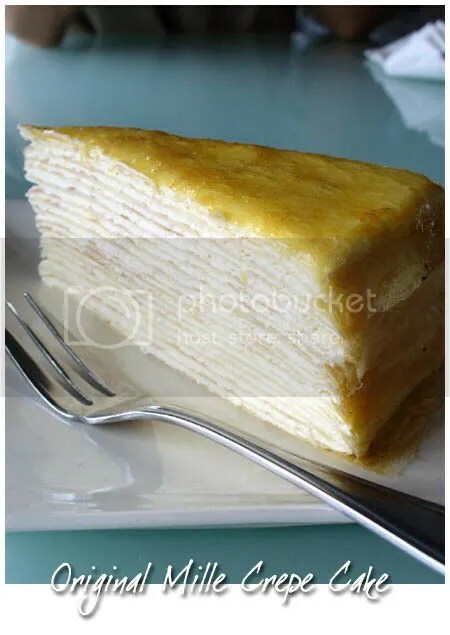 When I googled about Ming Sate Hut, I realized it’s actually located at the same row of shophouses with Nadeje, which is popular with their signature mille crepe cake. 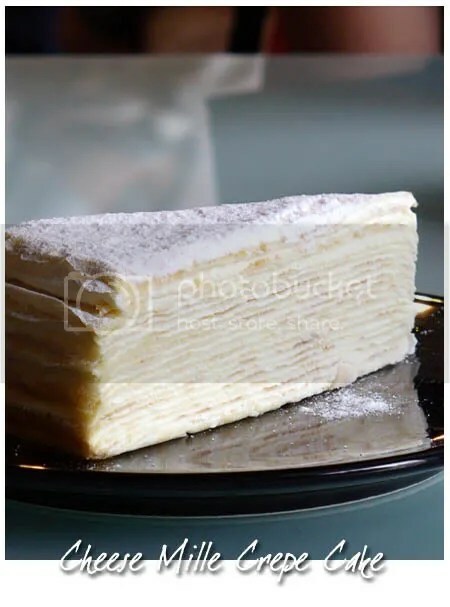 So, I suggest to the group that we hop over to Nadeje for dessert despite some objection (some of them wanna have cendol instead). The place was packed that afternoon. 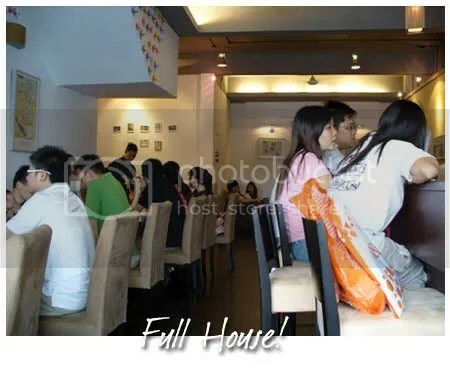 There are no empty seats available eventhough the café spans two shoplots, so we placed our orders and waited for a while. A bunch on ladies suddenly barged in and started making noise in front of the chiller while drooling at the cakes displayed – till to an extend that we felt uneasy. Service was slow (I only noticed there are about 5 workers) and a few of them are foreign workers and couldn’t speak English. We then got our seats but we end up waited for about 25 minutes for our orders to arrive. 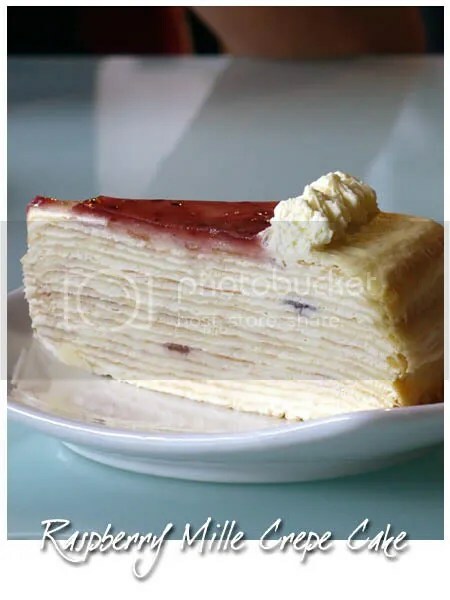 The Cheese Mille Crepe Cake wasn’t cheesy enough, Raspberry Mille Crepe Cake was slightly better than the cheese as you can taste a contrast flavour between the raspberry spread and cream but the raspberry layer was too thin, and Original Mille Crepe Cake was very plain. ‘Nuff said. I later got to know from WMW that the original chef has left Nadeje to open a new outlet in Johor Bahru. If I know this earlier, I should have go for cendol instead. And that ends our Christmas celebration for 2008. Same row, about 4 shops away from Ming Sate Hut. 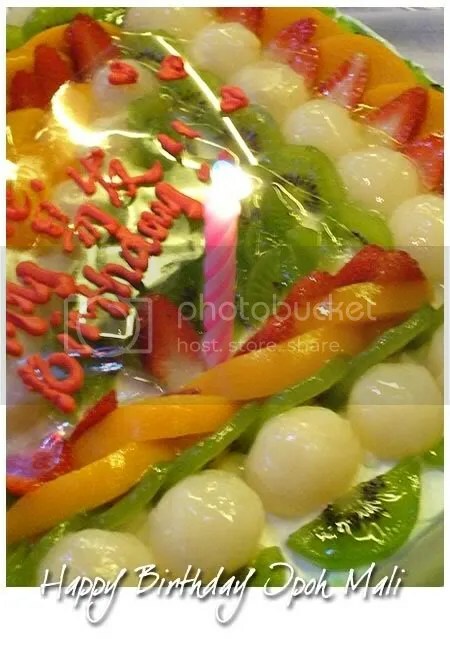 As on 27th December 2008, Ipoh Mali Talak Sombong has officially turned 2 years old. I have the habit of changing the blog layout once a year, so when some of you noticed the changes, it actually marks the “birthday of the blog” too. However, i posted this up late because I couldn’t find a proper cake shot, complete with candle – so this shot is taken from Janvier’s birthday cake last night (share share ya Jan 😛 ).